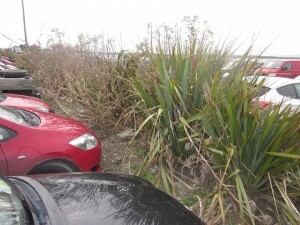 Baltimore Baltimore Tidy Towns has received approval and part-funding from Cork County Council to remove the large phormium plants from the middle of the Island Car Park in Baltimore and cover the ground with weed-proof membrane and gravel. By removing the plants, this will allow car-park users easier and safer access to their cars (now restricted by the huge size of the plants which encroach on the parking bays) and will allow the area to be kept more clean and tidy. Original plans to pave or concrete the area turned out to be too expensive but hopefully funding will be available at a later date to permanently pave or concrete over the area in place of gravel. Please spread the word about this project, which is due to begin after the October Bank Holiday and be completed at the latest by early December 2014. 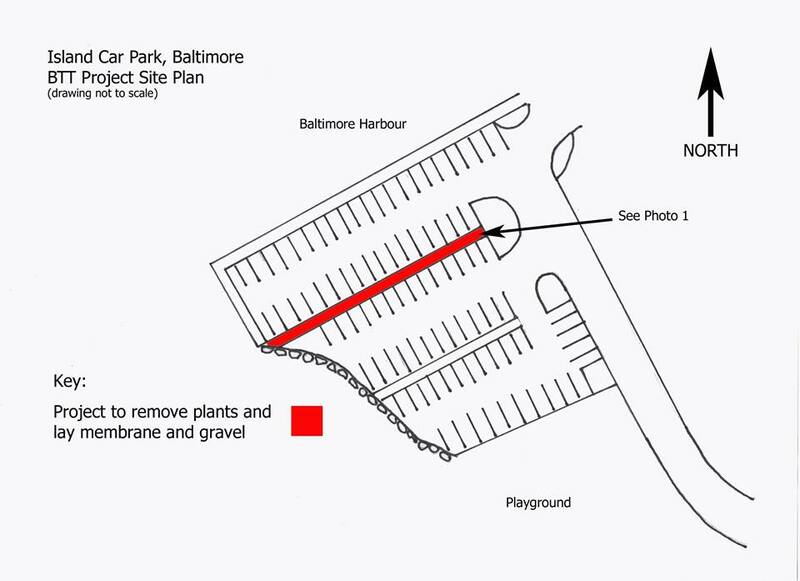 In order for the works to proceed, cars will need to be removed from the parking bays on both sides of the middle island of the car park to allow access for heavy machinery. 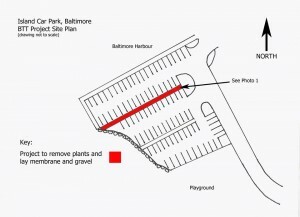 This affects only the parking bays around the middle island of the car park which means that the parking bays next to the harbour and near the playground can still be used during the works. Cars will be leafleted closer to the date, but spreading the word now will help frequent users of the car park to be prepared. Although it will mean temporary inconvenience for some, the end result should be an improvement that will benefit all car-park users.